Through Nathan’s 27 years in the elite world of AFL football, including 18 years as a professional player (5 years as Captain), 2 years as a Coach and 7 years as a Director of the St Kilda Football Club, he has gained great insight into how to extract great performance from individuals and teams. Since leaving St Kilda he has been applying his expertise in human performance in the fields of education, business and sport. Initially, Nathan began his career as a primary school teacher until the rigours and demands of AFL football took over. Throughout his career, he maintained touch with the workforce and managed his own retail outlet in the highly competitive sporting goods market. 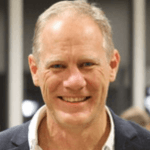 Since retiring he has been an AFL Assistant Coach, Senior Consultant at leading Management Consultancy, Mettle Group and recently Chief Operating Officer and People and Cultural Manager at CallActive Pty Ltd. In 2014 Nathan founded his own consultancy organisation specializing in the fields of personal development, leadership, culture and resilience. Recently he has partnered with Planet K2 as an Associate Coach where the lessons learnt as St Kilda and Victorian State of Origin Captain can be transferred in order to maximize human performance. Namely how to ensure your own performance is of a consistently high standard whilst also concerning yourself with the performance of the team and each individual within it. Nathan’s work builds heavily on the concepts of personal responsibility, ownership and making the most of your talents; whilst focusing on practical actions that can be employed immediately. Nathan strives to leave a lasting impression on his clients by connecting through relevant stories of his time as an elite athlete, teacher, business owner and executive. His 3-year term as a member of the AFL Match Review Panel recently came to an end and he is now a Senior Assistant with the Southern Saints VFLW team and member of the ABC Grand Stand Commentary Team.